The Saint Joseph's University Dance Team performs at all Hawk basketball home games, as well as campus events such as the Kinney Walk, Hand in Hand, and more! We are very fortunate to promote the school spirit at a wonderful institution both on and off campus. In the last few years, the team has also been fortunate enough to perform at community events including the JDRF Walk and several Phillies' games alongside the Philly Phanatic. 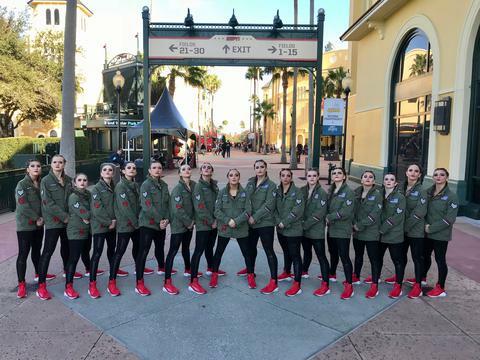 The Dance Team competes annually at the UCA & UDA College National Dance Competition in Walt Disney World and is a top nationally ranked Division I team! We currently compete in the Division 1 Hip-Hop and Pom categories. All dance team members have extensive competitive dance experience, with backgrounds in ballet, jazz, hip hop, lyrical and tap. In addition, the Saint Joseph's University Dance Team is active in the surrounding community and welcomes opportunities to perform and volunteer at charity and community events. The Hawk Will Never Die!